What To Do If My Employer Doesn't Offer Work Because I Have Permanent Partial Disability? What if your employer does not offer work after disability? Consult with our best workers' compensation attorneys in California to get a free consultation about your particular case. What To Do If My Employer Doesn’t Offer Work Because I Have Permanent Partial Disability? Home > Blog > What To Do If My Employer Doesn’t Offer Work Because I Have Permanent Partial Disability? On behalf of Koszdin, Fields, Sherry & Katz posted in Workplace injuries on Thursday, May 10, 2018. People do not always fully recover from their workplace injuries. As difficult as it may sound, permanent partial disability is something you will have to live with. And while it may seem as if you are useless and no longer hireable or valuable in the eyes of your employer, California workers’ compensation laws require employers to offer you job that lasts at least 12 months. There are quite a few requirements that employers in Los Angeles and all across California have to comply with when offering work to their workers with permanent partial disability. And this is what our Los Angeles workplace injuries attorney from the Koszdin, Fields, Sherry & Katz law firm is going to discuss today. When will you receive a new job offer? According to new California workers’ compensation laws, which came into effect in 2013, you must receive a “Notice of Offer of Regular, Modified, or Alternative Work” from the claims administrator within 60 days after he or she discovers that you have a permanent partial disability. However, this rule is applicable to your case only if you were injured in 2013 or later, and only if your permanent partial disability has become permanent and stationary. Our workplace injuries attorney in Los Angeles explains that a report of your medical condition and the fact that you have a permanent partial disability that has become permanent and stationary (P&S) must be completed by your primary treating physician or another medical professional who was assigned to your workers compensation case. The job must be within a reasonable commuting distance of the location where you live. Regular work. The same work you performed prior to your on-the-job injury. You must be paid the same wages and benefits that you were paid before the workplace injury that made you partially disabled. Modified work. This type of work is primarily your usual job or position that involves certain changes to your duties or workplace conditions. These new duties and conditions must meet your doctor’s work restrictions. As for the pay requirements, you must be paid at least 85 percent of the wages and benefits that you were paid before the injury. For example: your employer might swap certain physically-demanding tasks with more sedentary tasks, reduce your work hours, or incorporate other changes that meet your physician’s recommended work restrictions. If you were paid $5,000 per month before the injury, your monthly wages must be at least $4,250. Alternative work. This type of work is different from your pre-injury job and meets your doctor’s work restrictions. Similar to modified work, if you have alternative work after becoming permanently partially disabled, you must be paid at least 85 percent of your pre-disability wages and benefits. Our Los Angeles workplace injuries attorney at the Koszdin, Fields, Sherry & Katz law firm warns that if the new job offer meets of all of the requirements, you have 30 days to accept the offer. Failure to respond within 30 days automatically nullifies the offer. What if your employer does not offer work after disability? 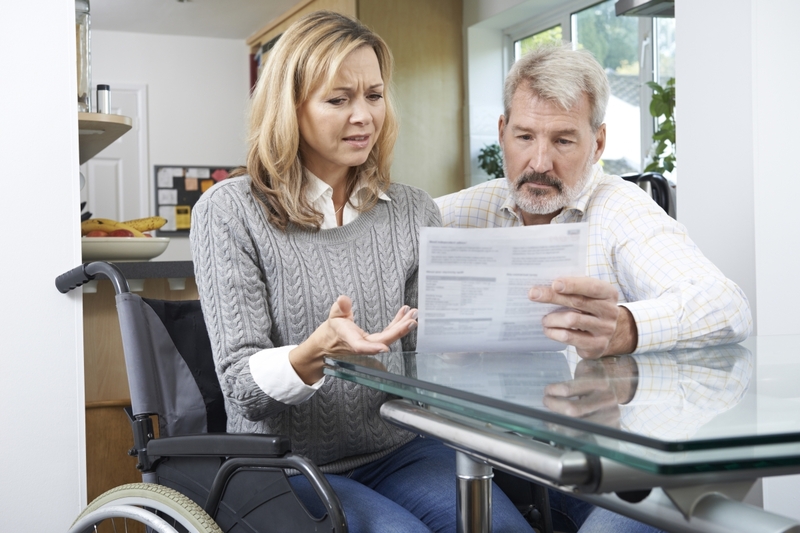 If you were injured in 2013 or later, and your employer has not sent you a job offer after discovering that you have a permanent partial disability following the on-the-job injury, the claims administrator will have to send you a supplemental job displacement benefit, also known as voucher, which can be worth up to $6,000. Consult with our best workers’ compensation attorneys in California to get a free consultation about your particular case. Give us a call at 818-812-5639 or (toll free) 800-747-3447 or complete this contact form today.